We will start with using relaxation techniques to become connected with your breath and body. We will then start to work on camera and recognise the triggers that cause nerves and anxiety. We will work on how to put ourselves into a place of relaxation and connectedness and feel able to start responding truthfully and instinctively on camera. The second day will involve shooting short pre-prepared duologues on camera. Steve North is an actor and director. He has appeared in many television programmes over the last thirty years including Dr Who, East Enders, London’s Burning and film work includes Closed Circuit with Eric Bana and the NT Live broadcast of War Horse. has directed award winning short films and his production credits include feature films and stage work. 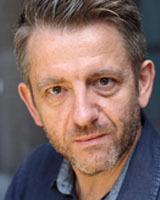 He has a background in devising theatre work and has been teaching screen acting for the last 15 years.